Let me begin today by recommending a book. 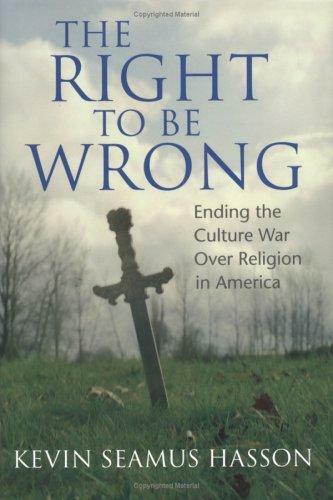 It’s called, “The Right to be Wrong: Ending the Culture War over Religion in America.” The author is a man named Kevin Seamus Hasson. He’s the lawyer who founded The Becket Fund for Religious Liberty, which is a law firm that defends religious freedom both in and out of the courtroom. And they do it at The Becket Fund for people of all faiths! In his book, Hasson traces the history of religious liberty here in the New World from the time of the Pilgrims until our own day. And what he makes crystal clear from the very beginning is that the struggle for true, religious freedom and the rights of conscience is not peculiar to our generation. It’s been going on since the time of the Pilgrims—a group that he uses to symbolize one of the tow extremes that we should want to avoid in our country right now. 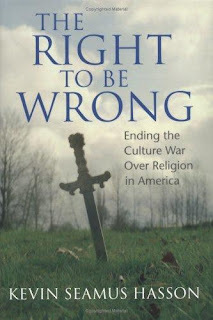 Hasson says that the myth is wrong on all counts: The Pilgrims weren’t looking for religious freedom; they were just looking for a place where they could live “in their own world according to their own vision of the truth.” Nor did they find this freedom and bequeath it, happily, to succeeding generations. So in the history of our nation we have had some groups and individuals like the Pilgrims, who wanted to outlaw every religion but their own; and then, at the opposite end of the spectrum, we’ve had groups and individuals to which Hasson gives the title “Park Rangers.” These are men and women who basically want to outlaw everybody’s religion—or at least remove all religious expression from public life. So if you’re a medical doctor, and your conscience, shaped by your religious faith, tells you that you should not prescribe contraception or refer for abortions, the federal government should not coerce you to do so! Other, more contemporary presidents might say something different, of course. Now why do I mention all this in my homily today? How is what I’ve said about Kevin Seamus Hasson’s book connected to this gospel reading we just heard? Although it might not be immediately obvious to us, Bartimaeus in this story was exercising his right to religious freedom and following the dictates of his conscience—and a group of 1st century “Pilgrims and Park Rangers” was trying to stop him! “Son of David” was a messianic title. That means that when Bartimaeus used it he was making a declaration of faith. He was exercising his right to religious freedom by declaring that he believed that Jesus of Nazareth was the Messiah: the Messiah that he and his Hebrew brothers and sisters had been waiting for for centuries. And, at the very same time, Bartimaeus was acting on a judgment made by his conscience. Because he believed that Jesus was the Messiah, he became convinced that our Lord could help him by restoring his eyesight, and so he made the decision—which was the judgment of his conscience—to reach out to our Lord for a healing. But a number of people who were present that day didn’t like it! And so—just like the Pilgrims and Park Rangers of our world today—they tried to stop Bartimaeus! They told him to be quiet! Most of these naysayers were probably “Pilgrims,” in the sense that they thought that their Jewish religion should be the only one allowed to exist; but there may have been a few “Park Rangers” there as well. 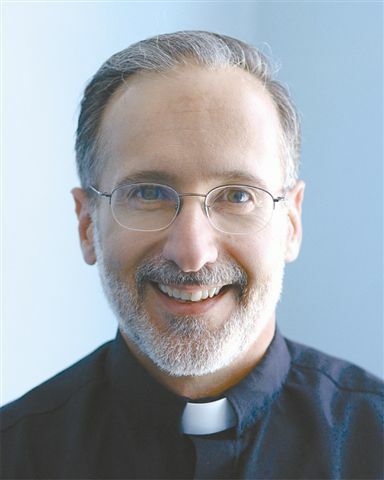 As Catholic Americans in 2012, we find ourselves in the same position that Bartimaeus was in on that day when he encountered Jesus on road near Jericho. Our ability to practice our faith fully—and to apply the teachings of our faith to the circumstances of our daily lives—is being threatened on many fronts, most notably by the federal government’s HHS mandate, which requires Catholic institutions and business owners to pay for services that are clearly immoral. In other words, the Pilgrims—and especially the Park Rangers—are at it again. May the courageous example of Bartimaeus inspire us (and all people of good will) to speak up, loudly and clearly, for religious freedom and the rights of conscience at the ballot box this November—and everywhere else. 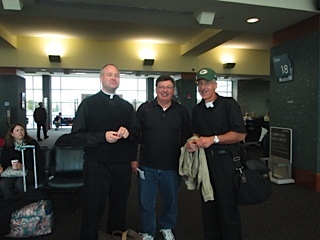 Here are some pictures from our recent pilgrimage to Lourdes and several other holy places in France. It was a spiritually uplifting week with a great group of "pilgrims." The underground Basilica of St. Pius X in Lourdes, which holds 20,000 people. Every day at 5pm there is a special Blessing of the Sick ceremony in the underground basilica. A few familiar faces were in the choir the day we attended the ceremony. On the 27th anniversary of my ordination to the priesthood, I was the main celebrant and homilist at the 6:45am English Mass at the Grotto. What a great blessing! It was definitely the highlight of the pilgrimage for me. The group gave me a beautiful Marian vestment for my anniversary. Fr. 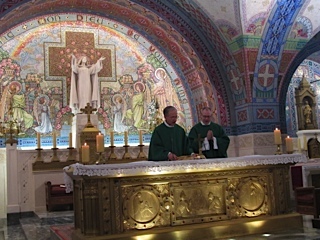 Mahar and I preparing for Mass at the Shrine of the Miraculous Medal in Paris. Fr. Mahar was the main celebrant that day. Yes, I was always eating (so what else is new?). And yes, there was always some good vino on the table. No explanation needed for this picture. The spires of the Cathedral of Notre Dame in Chartres. One is a 349-foot plain Romanesque pyramid dating from the 1140s, while the other is a 377-foot early 16th-century Flamboyant Gothic spire on top of an older tower.